As kids, we've all dreamed of having a tree house of our own. What we never dreamed of is a tree house that's floating in a sea of trees-and not perched on top of one. Is that even possible, you ask? The people behind Tree Tents make the seemingly impossible possible. 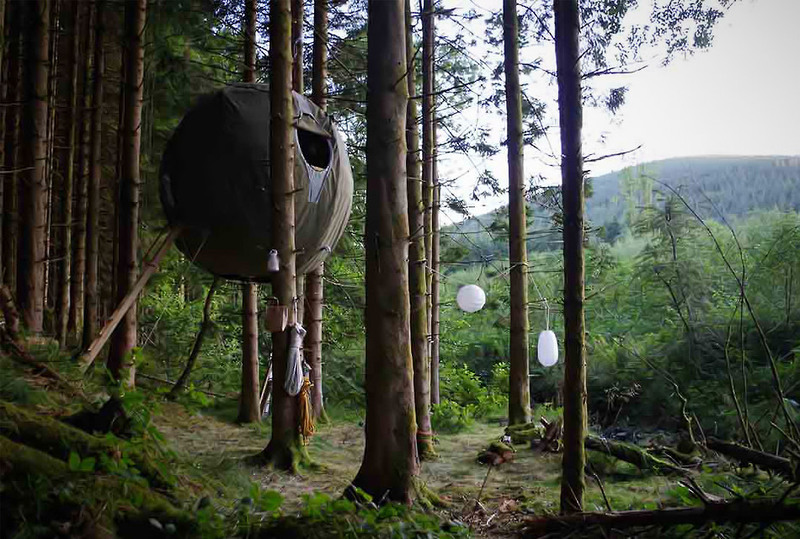 With Tree Tents' Luminair Tree Tent, campers and the kids at heart can set-up their very own abode that's suspended up in the air (with the help of trees, of course). Now, your biggest concern is most probably the safety of the product. You don't have to worry much in that department since the Luminair Tree Tent is the brainchild of an elite team of specialized engineers and carpentry and design experts. The only thing that you'd have to worry about is finding the right trees (mature trees in general) to attach it to.